Woo! This was my first rum tasting! So much fun deciding my lineup, figuring out what to talk about, research the points I’m not quite as clear on. Tasting through my lineup to set the order and prepare notes. It’s definitely one of the most fun parts of the job. It’s even more fun when I get to share all my knowledge and these tasty spirits with you all. 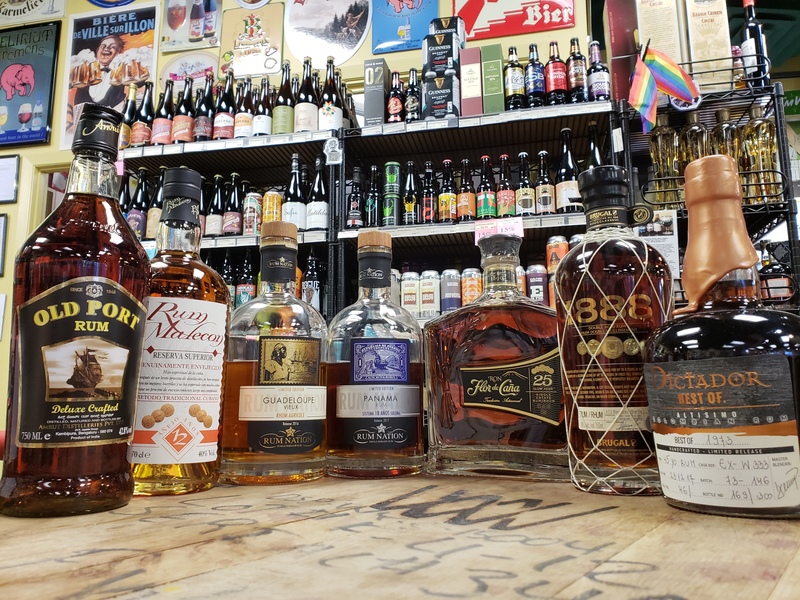 We went from India to Central America and the Caribbean and down to South America to taste some of the more interesting rums on my shelves. On the way, we got to talk a bit about Rhum Agricole Rum, along with the spirit’s ties to the navy, trade and -like all things back then- slavery. We snacked on some specifically selected cheeses and sweet accompaniments from Peasant Cheese, and dove right in to taste the following. I have to say, I’m a little sad I wasn’t able to show off a Jamaican rum as they are among my favourite, but alas, they are not always that easy to find. After exploring the histories, and sharing some stories, we polished off the cheese boards and picked out our favourites for the night. 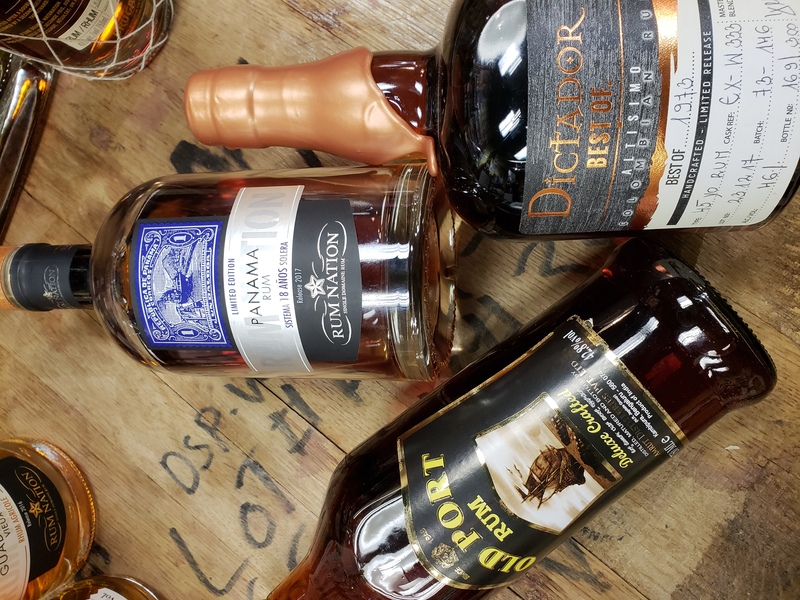 Rum Nation’s Panama 18 took first place, after Amrut Old Port for second and Dictador Best of Rum 1973 Altisimo coming up on the rear for 3rd place. The three of these took the podiums by a healthy margin. The next highest being a full 6 votes down. That’s a pretty interesting outcome! I figured the Dictador 1973ould come in first, but who am I to say, really. For my first rum tasting, I’d say it was a success! Everyone left happy, either full or at least satisfied, and possibly even a bottle or two richer! 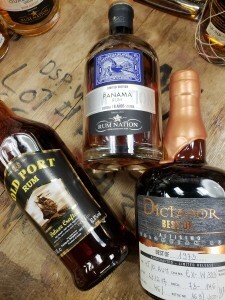 We got to taste some delicious rums, and everybody learned a thing or two! Check marks all around! 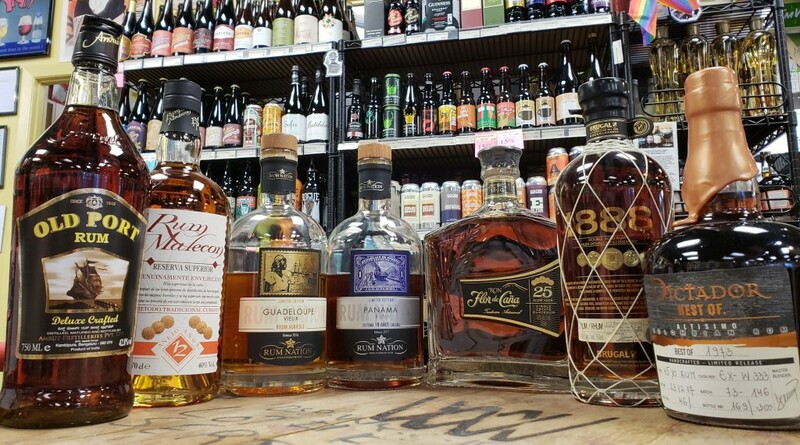 After that, I’m certainly looking forward to my next rum tasting, but before that, I’m going to have to pull out the stops and wow a couple more groups with Gin and Agave spirits. I’m sure you all have your tickets already right? This entry was posted in Rum, Store, Tastings. Bookmark the permalink.